Is the prospect of a Spanish Property market rebound real, or just fantasy? If property specalist uv10 is to be believed, it is certainly a reality. Established in 2007 as a Brazil property specialist, uv10.com has backed its assertion of a Spanish property market rebound as it is now back on Spanish soil with the launch of a new HQ on the Barcelona coastline. 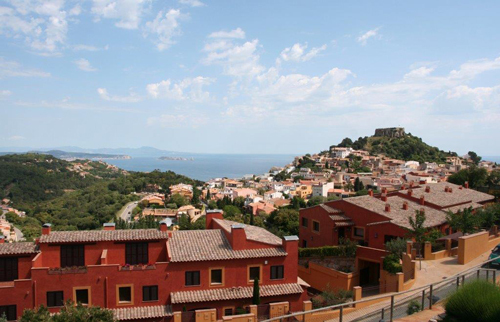 Following the overseas buyers’ market back to Europe, the boutique estate agent hopes to bring the Costa Brava to a primarily British and Irish audience. It is interesting that in Spain, uv10.com has avoided the ‘old reliables’ of the Costa del Sol and Costa Blanca, with the new operation centred around the Costa Brava to include Barcelona itself and as far as Sitges in the south and Begur in the north. Having won a slew of awards, from the OPP, AIPP and International Homes, uv10.com is still involved in Brazil and that isn’t going to change. The country’s economy is still performing well, there is still a shortage of housing, and the domestic property market is booming as Brazil’s middle class continues to swell in number. There are however a number of differences between the two locations when it comes to buying a property. The company offers a tailored, exclusive service to wealthy buyers looking in Catalonia, with an eye on the Golden Visa market. The Chinese are already buying up entire blocks in Barcelona and Russian buyers are prevalent in particular in Platja d’Aro, to Barcelona’s north. There is a serious lack of new property which will likely push resale prices up again over the next few years and, as the market improves, the company will look to cover more areas of Spain in the future. Pictured at the top of the article, uv10 is currently offering four spacious three-storey townhouses, already under construction, in the traditional yet upmarket hillside enclave of Begur. Designed to maximise Mediterranean and island views below, the houses have traditional Spanish facades with Moorish-style roofs contrasting with airy modern interiors with all mod cons to include air conditioning and Siemens appliances. Each home has a private garden alongside a communal pool set in shared gardens. The town centre is a five minute walk with its seafood restaurants and pretty cafes, while the beach of Sa Tuna with its crystal clear waters is just five minutes by car. Barcelona’s Airport is a 1.5 hour drive and Girona 40 minutes. Price 515,000 euros (approx 425,000 GBP) stage payments available, homes complete in six months (before end of 2014). Contact uv10 on info@uv10.com, visit brand new website www.uv10.com or telephone UK local rate +44 (0)845 643 1036, Brazil office +55 21 395 808 25 or USA +1 888 839 7009. Skype uv10-brazil.